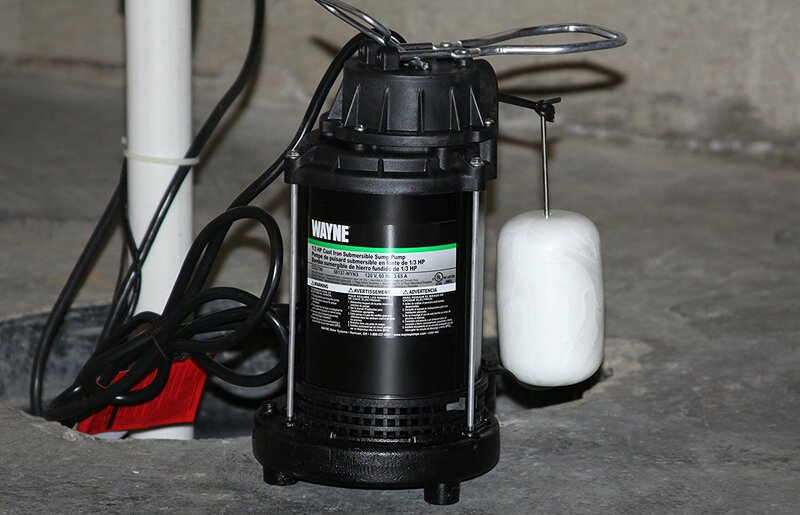 Sump pumps are usually installed in a sump pit found in the crawlspace or basement; they are mostly connected to sewer and their discharges have valves which prevents ant symptom. Usually, the sump fetches water from your drains, rain or ground water which is collected by drain tile submersed under the ground. As the water fills up the pit, the pump is turned on. Its main responsibility is to pump the water out away from your foundation to an area where it can be dried far away from your property. Disposing all the water that was filled in the pit allows your crawlspace or basement to stay dry. This will make your foundation strong. In order to keep the water from finding its way back into the pit, sump pump comes with a special feature known as check valve. Check valve has one job only, to prevent water from flowing back into the pit. It’s not wise to direct the water from the pit into a septic water or city sewer. In fact, in some states it is against the law to do that. The best way to discharge this water is to direct it into an open space, a yard for example. Most of these pumps come with a feature known as a pressure sensor or a float activator that allows them to turn on spontaneously. The float activator can be compared to the buoyant ball that’s usually installed in the toilet tank. As the water level keeps on rising, the buoyant ball keeps on pushing the arm and floating on top of the water surface. The pressure sensor on the other hand works by exerting more pressure on the pump’s sensor, which makes it to turn on automatically. The good news is that you can always decide when to let the water out of the pit. How? By operating the sump pump manually. The only problem is that manually operated sump pumps are not easy to find or commonly manufactured because they are not dependable. Sump pumps that are usually installed in residential homes use centrifugal force to pump water. Every time the motor is turned on, it causes an impeller (a screw like device) to turn. This is where centrifugal force comes in; it is used to spin the impeller, which causes water to move towards the pipe. During this process, a low pressure zone is usually created at the center of the pipe. In this light, when the water from the pit tries to find its way to fill the empty space, the force of the spinning impeller will push it out via the pipe. Residential sump pumps use standard household current and are therefore powered by electric power. So, you do not need to do any special type of wiring to power the pump. Given that the pump is usually place near water sources, it’s highly recommended that you install a basement circuit breaker to prevent electrocution accidents from happening. In general, there are two major types of sump pumps: - pedestal sump pumps and submersible sump pumps. Just as the name suggest, submersible pumps are usually placed under water. In order to protect it from rusting, it’s enclosed in a water resistant housing. The pump is located at the bottom while the outlet pipe is situated at the near top. To protect it from debris and other unwanted materials in the ground, a grate is used to cover the bottom of the pump. Once the pump is turned on, water in the pit is pushed out into the pipe which directs it away from your foundation. On the other hand, the pedestal pump resembles a long stick with a big fat head. It is ideal for keeping water out of the pit and far away from your home. Given that the pump and the motor of the pedestal sump pumps are located out of the water, they are usually louder compared to submersible pumps. The good news is that they are the least expensive. Sump pumps that are connected to sewer have check valves which contain anti-siphon devices to prevent back-flow. Always make sure you clean your pumps regularly to maintain your sumps in good conditions; they have filter tap where wastes are filtered, if not cleaned your pump will jam. Before you discharge your wastes make sure you consult your local authorities or those in charge of disposal codes; some areas and buildings have preferred areas where the discharges are disposed. Thank you so much for visiting and commenting on my site. I hope you will visit my site regularly and I hope you will share my post. That is really cool that you could get a submersible sump pump. I have never heard of that before. That is nice that the water keeps it from rusting and protects it from debris as well. My husband has been wanting to find a new sump pump and that sounds like a cool option.